Jesse is a regularly requested speaker at community forums, panel discussions, rallies, debates, public hearings, and college campuses. To request Jesse to speak at your event, contact him here. 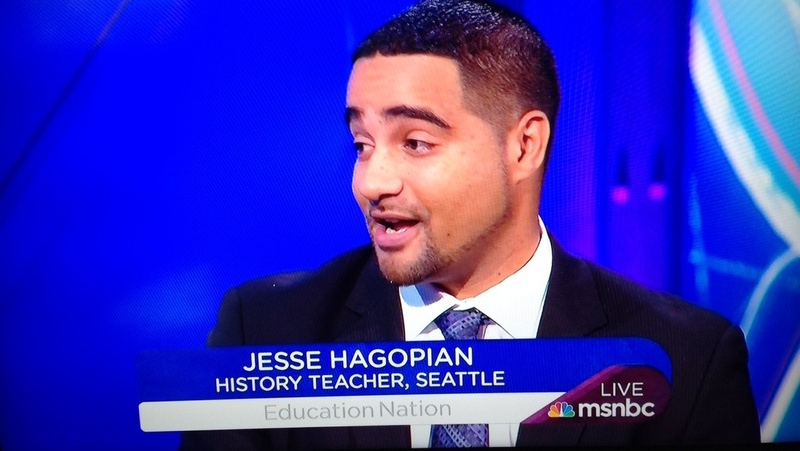 Some of the forums Jesse has addressed include: A presidential panel for the American Education Research Association’s (AERA) 2013 conference; “Race to Where?”: Diane Ravitch, Wayne Au, Jesse Hagopian and Dora Taylor in a Seattle Ed 2010 forum; The Seattle City Club: “What is a good teacher”; Real Change Forum “Question inevitability: Does Seattle Need a new Jail”; IVAW’s “Winter Soldier” antiwar forum; The Center for Economic Research and Social Change’s “Socialism Conference”. 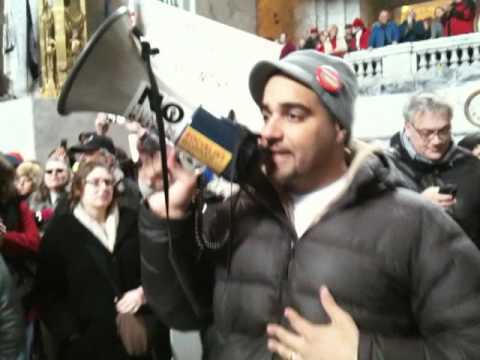 Jesse gave this speech at one the largest of the Occupy Seattle rallies to call for bailing out the schools, not the banks! Jessegave this speech during the struggle to pass Referendum 71, connecting the struggle for LGBTQ rights with the Civil Rights Movement. The University of Washington sponsored a debate between U.S. Congressmen Jim McDermott and I on a bill that was aimed at bringing back the draft for American wars. He supported the draft, I opposed it. 2500 public sector workers and their allies rallied in the State Capitol of Washington in support of workers in Wisconsin fighting against Union-busting. Hundreds of protesters made their way into the Capitol building and held a speak out.